Amazon and Flipkart is back with its another Festive season sale of 2018. 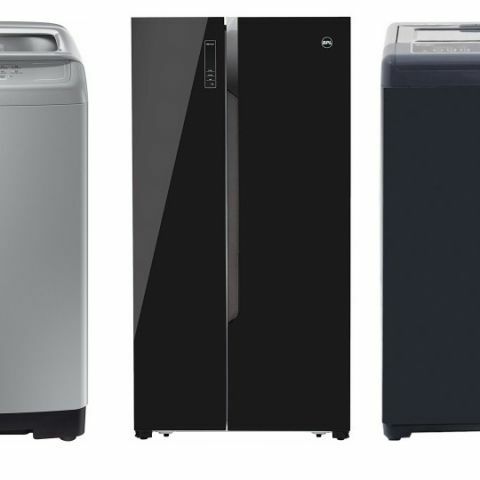 Here are the best deals the platforms are offering on large appliances such as refrigerators and washing machines. Amazon's Great Indian Festival Sale and Flipkart's Festive Days Sale are now live, and will go on till October 28. Flipkart has collaborated with Axis bank and offering up to 10% instant discount to those who will make payment through bank’s debit/credit card. Amazon is also giving a 10% discount on CITI bank and ICICI debit/credit cards. The Haier 3 star 258L frost-free refrigerator has the capacity of 258 liters. It comes with a Swift Convertible feature that lets you turn your fridge into the freezer. As per the company, the Turbo Icing Function of the fridge speeds up the time take to freeze products by 200%. You can get this refrigerator during Amazon sale for Rs 19,490. One can also get a 10% instant discount when they will make payment through ICICI or CITI bank cards. View deal here. The Samsung 253L Frost Free Double Door 4 Star Refrigerator offers stabilizer free operation, which means you do need to worry about purchasing a separate stabilizer to protect the fridge from voltage fluctuations. The fridge also comes with all Round Cooling Function, which aims to ensure that cooling remains even throughout the fridge. View deal here. The BPL 690L side-by-side refrigerator was launched at a price of Rs 79,990. During the non-sale period, the refrigerator was available on Amazon for Rs 64,990. Now, you can get this refrigerator for Rs 49,990 along with an option to grab a 10% instant discount on this purchase if you have a CITI or ICICI bank card. View deal here. The Panasonic 584L Frost Free Side-by-Side Refrigerator comes with an LED display at the front, which lets you control the fridge inside temperature easily. The other features of the fridge are Quick Cooling, Quick Freeze, Energy-Saving LED Lights and more. You can purchase this product on the Flipkart Festive Days sale for Rs 49,999. View deal here. The Samsung 6.2Kg Fully-Automatic Top Load Washing Machine comes with a built-in sink, which allows users to hand wash their delicate clothes easily. The machine is now priced at Rs 12,990 during the Amazon sale, down from its MRP of Rs 15,900. View deal here. The Bosch 6.5Kg Fully Automatic Top Load Washing Machine comes with a Magic Filter that gathers lint, fluff, and particles from your clothes at one place. As per the company, the machine is able to work even when the water pressure is low. It is now up for sale at a discounted price of Rs 14,299 during Flipkart's sale. View deal here. The BPL 6.2Kg fully automatic washing machine can be bought at Rs 9,499 at the sale. The washing machine comes with a stainless steel tub and offers 10 wash programs. View deal here. which washing machine is good between front loading & top loading? pls. suggest top 5 washing machine models. videocon is the better option. when moto g2 black will come again for sale in flipkart?